Annyeong! I'm back! 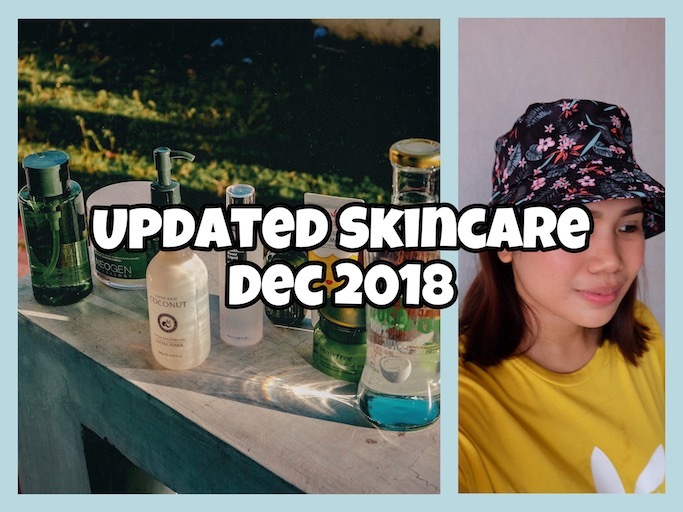 I realized I haven't done an updated skincare post in a while because I got into a reeaaaally really lazy phase! I've been using sheet mask for weeks, most especially during my consecutive travels where I cannot afford to bring all my jars and bottles! Haha! I love my sheet mask, but it's so hard to sustain because it is more expensive than buying a bottle of serum or even the expensive ampoule that will last me months. A sheet mask worth Php 75-100 will only be good for a day! In the middle of my sheet mask phase, I actually tried reusing one mask for two days by keeping its foil container with the excess serum and reusing them the next day. Okay naman, naka tipid ng konti. Not sure if it's the changing weather during my trips (hot and super cold) or my commutes here in Manila (pollution), but my skin got really bad about a month ago. 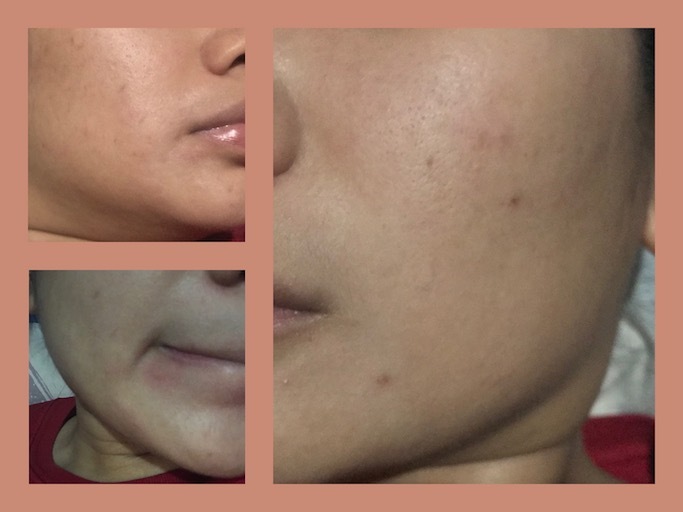 My pores were enlarged again, I got tiny bumps which I am not sure if allergies ba, I had more blackheads and acne all over my face! I also got oilier than usual, but areas on the corners of my mouth were dry and flaky! That's when I realized I needed to get back to my skincare routine groove! Sayang naman, just a few weeks of laziness balik uli sa dati ang skin ko! So I invested on new products + brought out my old favorites and used them again religiously every night. I've been regularly using these products nightly for more than a week now, so I guess it's safe to share them here! When combined, they did wonders on my skin, so they might work well for yours too! 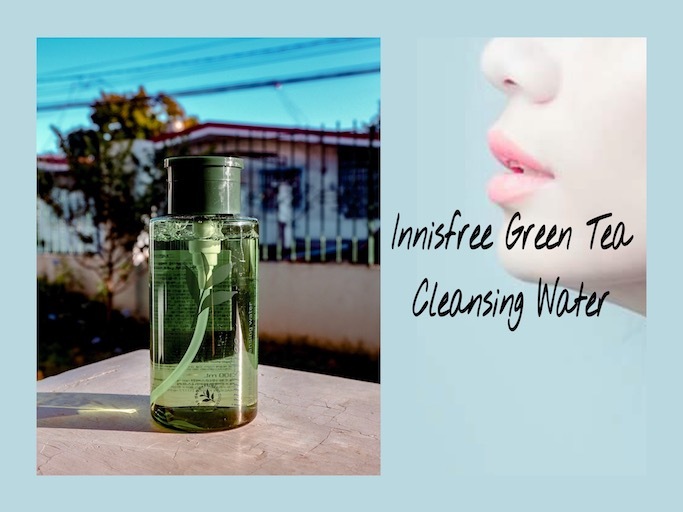 To remove my makeup, I tried to gear away from oil-based products and tried out the Innisfree Green Tea Cleansing Water (Php 806) I got from the launch of the first Innisfree store here in Manila. What I love about this is firstly its packaging. You conveniently pump the product out and up with cotton pads--no need to turn the bottle over to pour! It's so clean and convenient for lazy girls like me, hehe! I also like its faint green tea smell. Often times, I am excited to use products when I love its scent! 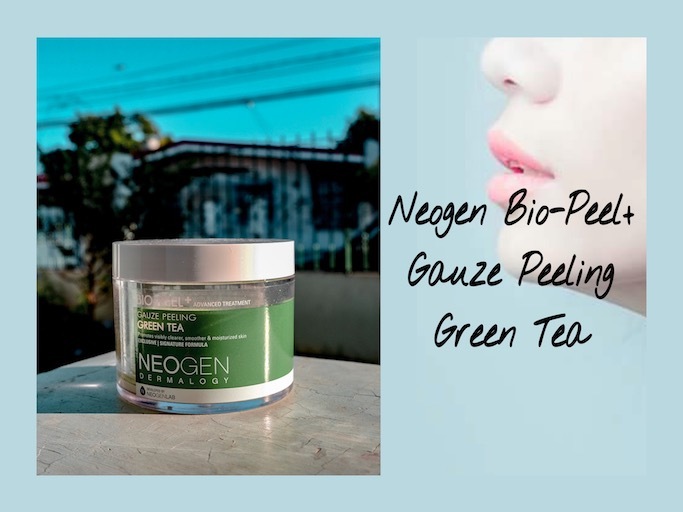 I realized how bad it was when I used this product everyday, but the Neogen Bio-Peel+ Gauze Peeling Green Tea is so addicting! Rubbing the pad's rough and smooth sides effectively cleanse my skin from makeup, sebum, and dirt, but its serum also exfoliates my skin so it can be kind of harsh when used daily. Now I am trying my best to limit usage to every two days, and hopefully to just around 2x a week or when I had a long day outdoors. Aside from being harsh, a jar is also a bit on the expensive side (Php 1295) ang sakit sa bulsa pag paubos na sya hehe. BUT it is really really effective in clearing up my skin so I've consumed a lot of this na and have been repeat-buying Neogen Biopeel for over a year now. 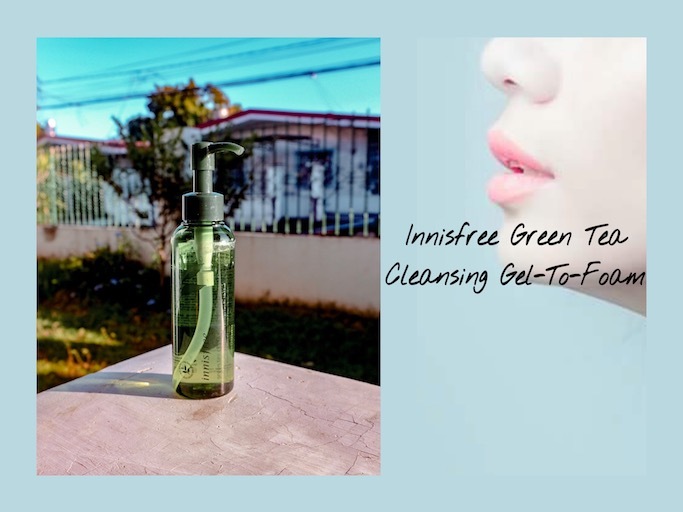 For my facial wash, I also use another green tea based product called the Innisfree Green Tea Cleansing Gel-to-Foam. I have another favorite green tea foam cleanser from Neogen, but this one from Innisfree is a good alternative. I am not sure how it specifically helped or improved my skin compared to my former cleansers, but it also did not trigger any negative reactions to my face so I am finishing up this product for sure! 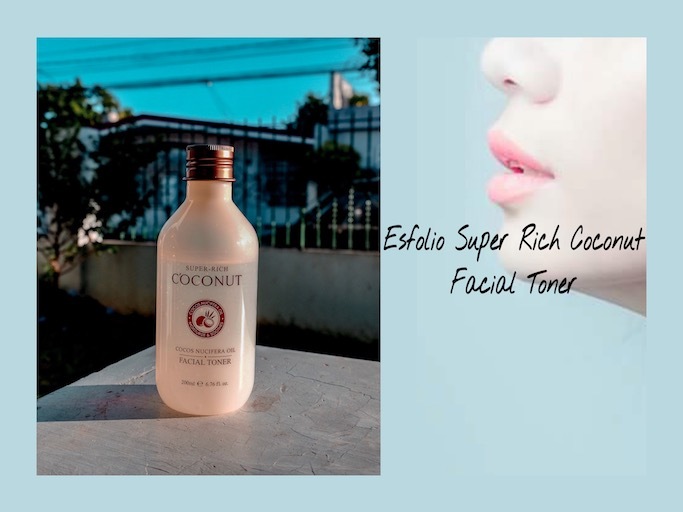 I used this before then stopped for a while, but that night when I decided to go back to my multi skincare routine I immediately picked up this Esfolio Super Rich Coconut Facial Toner (Currently on sale in BeautyMNL app at Php 399). I LOVE LOVE its mild coconut scent that it is very satisfying to use. Aside from that, it's a toner that's MOISTURIZING (usually drying ang toner) so thumbs up sya sakin. 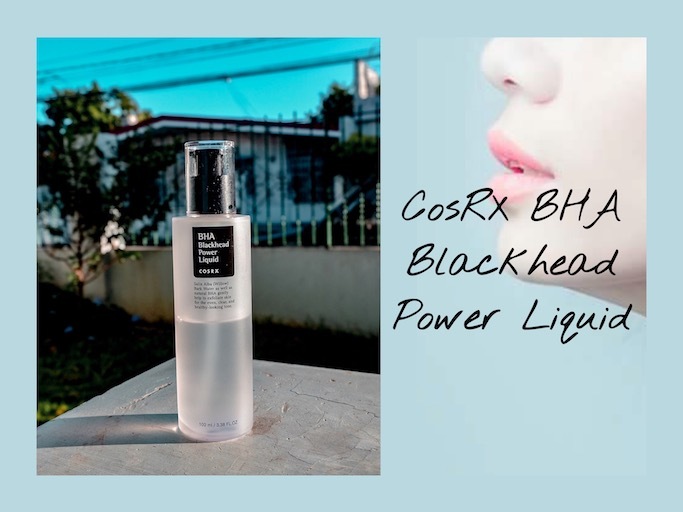 Another comeback in my skincare arsenal is the CosRX BHA Blackhead Power Liquid (Php 990), targeting a specific skin problem (blackheads) so I knew I had to use this again. 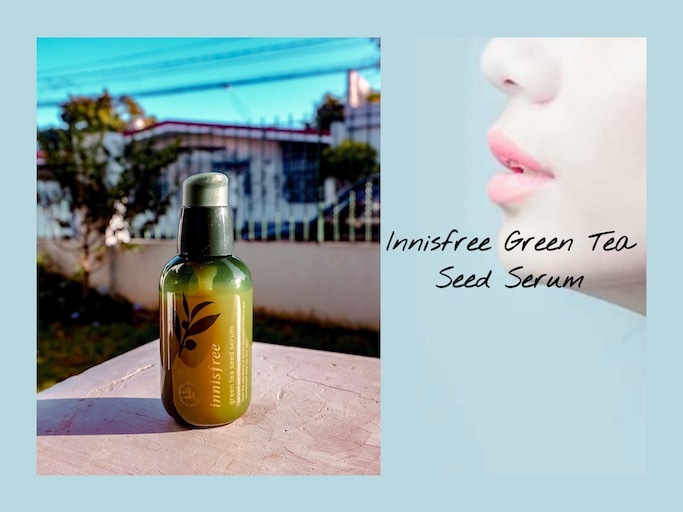 It's a popular Innisfree product, but it was actually my first time to try out the Innisfree Green Tea Seed Serum (Php 1590) when they launched the MOA store. I had to test and see if it's worth the hype--and it did exceeded my expectations! Rich in anti-oxidants, this green tea serum helps minimize my breakouts at the same time hydrates my skin. I am now a fan of this cult fave, or maybe even the whole Innisfree green tea line! I am aware that BHA (from the CosRX I use above) and Vitamin C is a bad combination, but I was so tempted to try out this new product from iWhite Korea called the Vitamin Sleeping Gel Mask (Php 229) the moment I saw its cute packaging in Watsons and Metro Department. I love and trust the brand so I knew I will also love this product, and I did! It is vitamins to my skin, making it healthy, supple, and glowing. So far, no adverse reaction when I mixed it with my other products coz unlike the potent Vitamin C serums na mapili with what you use it with, this feels gentler but still effective. Plus points talaga na all iWhite products are very easy on the pocket, and even available in sachets. 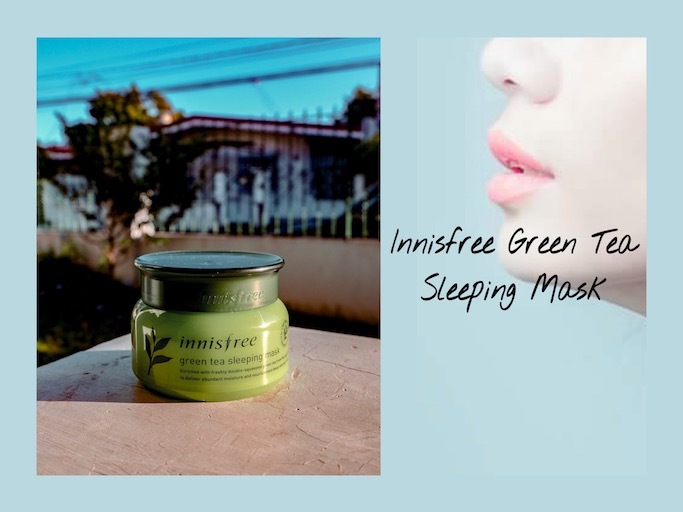 And lastly, I top everything with the Innisfree Green Tea Sleeping Mask after hearing raves about this during the launch. I heard it from a vlogger na sobrang ganda ng skin, so I made sure to open up a jar that same night haha! I am sure it made my skin extra soft the next day, and again it worked will with all the other products I use so I am sure I will keep on using this combination while they are still working for my skin. 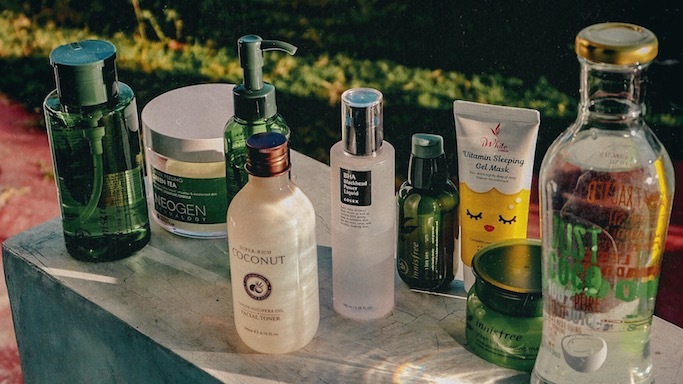 Now here is something I do not directly use on my face, haha, but I just have to add this on the list since it's a recent addition to my road to a healthier lifestyle (aka better skin too!). Plus, I learned that coconut juice helps in acne as it is rich in vitamins and naturally eliminates excess oil on skin and balances skin pH. It is also very hydrating! I think I need to be more conscious na of what I eat in the coming days--aside from gaining weight, junk food can also cause bad skin. Instead of drinking sugary juices or sodas, a healthier option is fresh coconut water. Just Coco delivers fresh and bottled coco juice around the Metro. They guarantee that nothing's added and processed, so I highly recommend it if you don't have any fresh source of buko juice near your city. 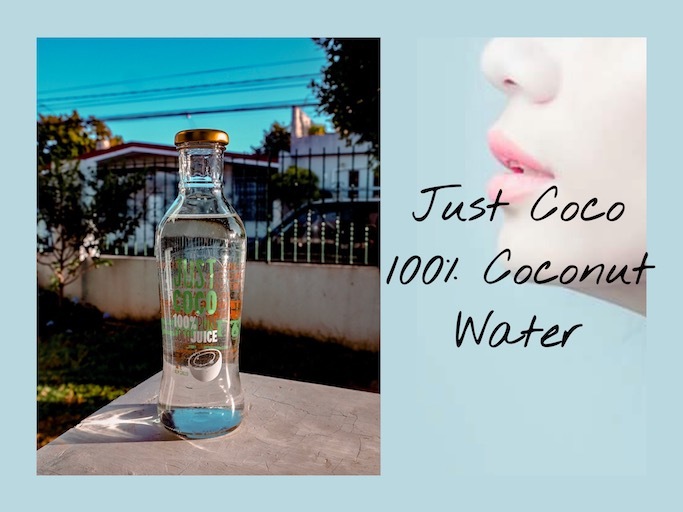 Follow them @justcoco_manila or text 09267252000 to order. Here's a more recent picture of my skin. 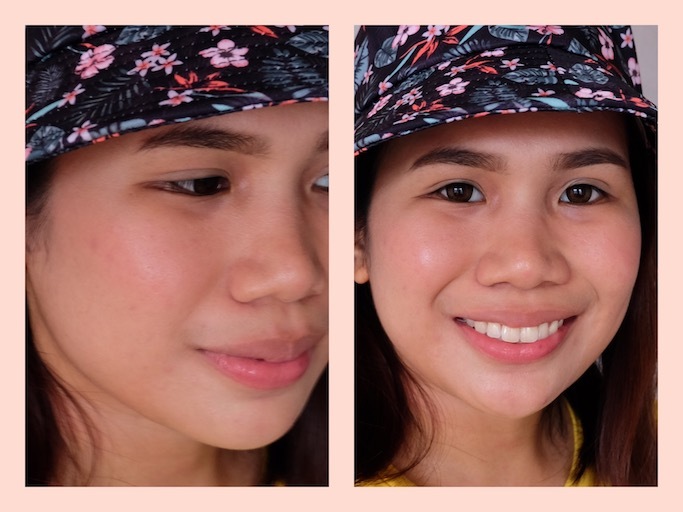 I think it improved a lot for less than a month back in my multiple skincare routine! Up next: To watch what I eat, even though I know it will be more difficult now that there will be Christmas parties here and there!! 😁😅 Tips pls! The products I use are available in Innisfree store, Watsons, or in Althea Korea, BeautyMNL and Lazada apps. Let me know if you have favorites in this list too!